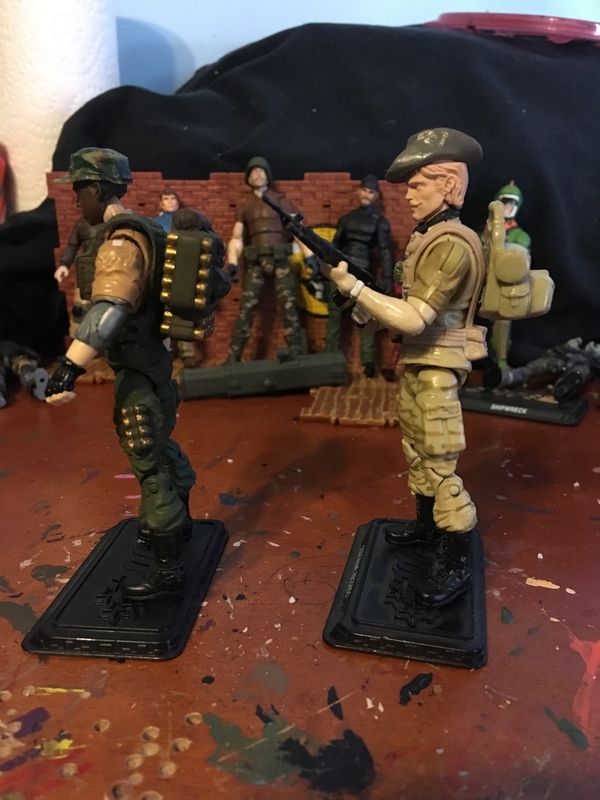 As great as the modern line is, one of the areas that didn’t get much attention from Hasbro was backpacks. 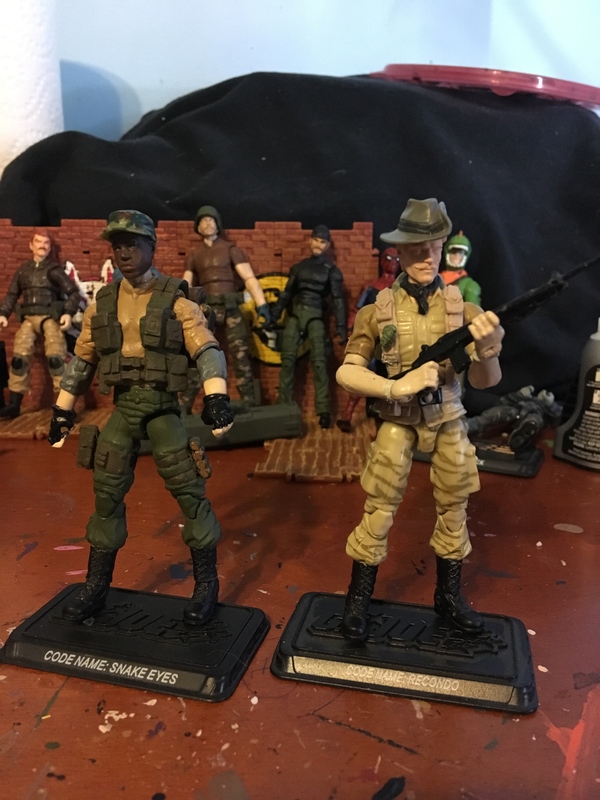 I modified these for my very WIP Recondo and Hardball customs by cutting down the vintage peg and sanding it smooth. I then cut an appropriate length from a ‘90s era SW lightsaber. 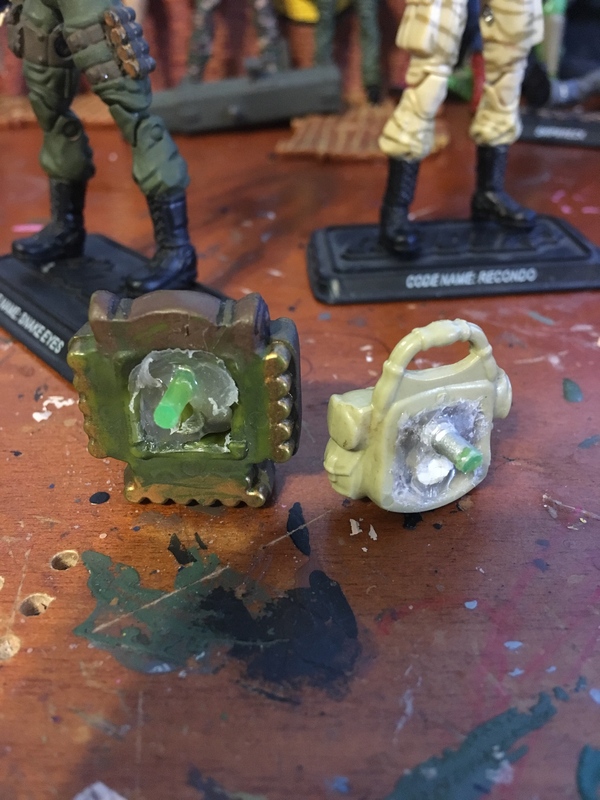 Then I filled the cavity on the backpack with hot glue and pressed the saber part in. Pretty easy! 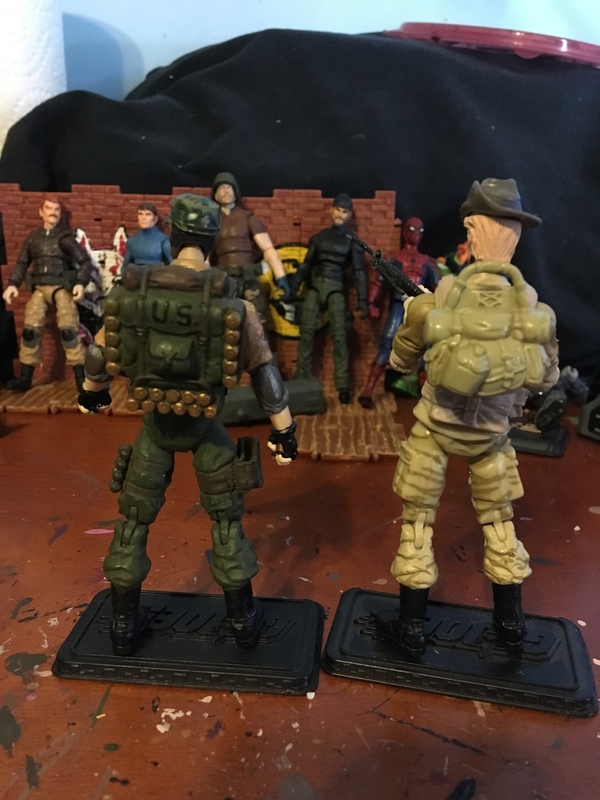 Looks great, I've been doing that to my modern customs as well.